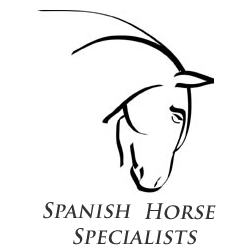 Spanish Horse Specialists: Anubis: Great Scores! Hope you are well. Just thought I'd let you know Bis and I did our first dressage competition on Sunday - only unaffiliated prelims but he was brilliant. He was 2nd to a very smart warmblood and scored 78 and 73%! The main thing though was that he was a pleasure to take out - he hasn't been in the lorry for 18 months and he was totally calm, even when there were horses in the field next door galloping about. He is turning out to be a super hack, which is his favourite thing (apart from eating).